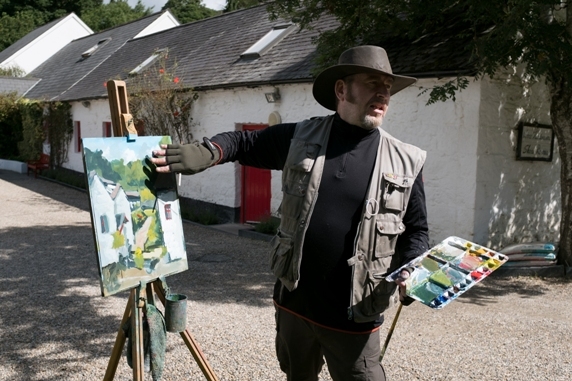 The Avoca Painting School is proof positive of Rod Coyne’s passion for art. Since 2010 he has been sharing his extensive knowledge with students from diverse backgrounds. Rod is keenly aware how multifaceted a single days painting can be. “Students are usually enthralled by the morning painting demonstration; it’s hands-on as opposed to reams of abstract theory. People are empowered by giving them new skills and a license to loosen up. A special thing happens by the end of the day when students realise the therapeutic element of painting and how they have spent the day in a state of mindfulness”, tells Coyne. Many people start their painting journey with a gift voucher from Avoca Painting School. Also, it’s worth remembering that creativity will define the jobs of the future as computers and machines occupy more and more of our current positions. Welcome to the Avoca Painting School. Receive professional tuition in acrylic and oil painting and drawing from highly experienced, practicing artist Rod Coyne. 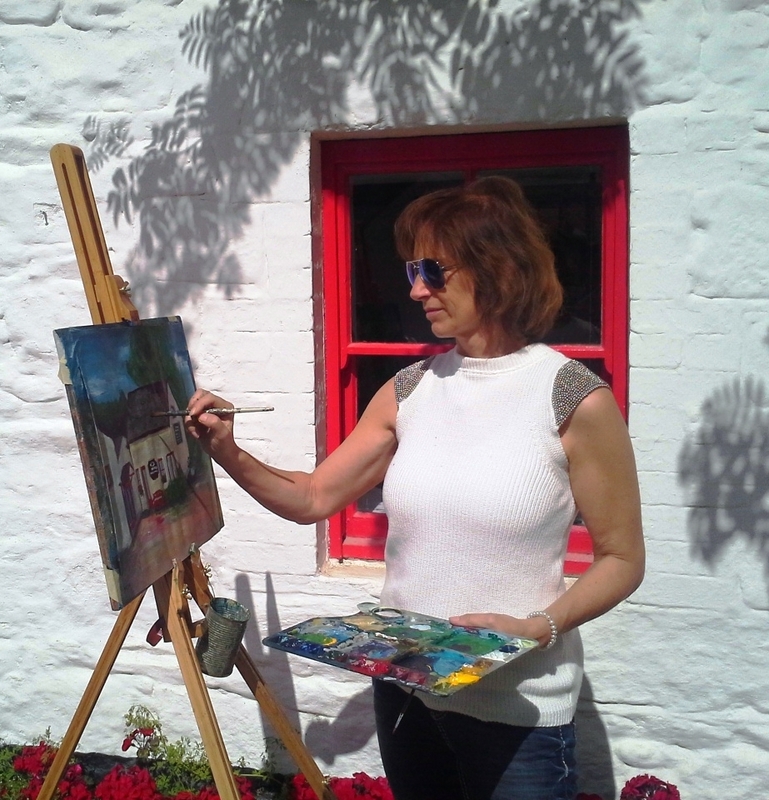 We provide studio art classes, outdoor painting workshops, demonstrations and painting vacations with an informal atmosphere in the “Garden of Ireland”. Our services are designed for visiting tourists as much as locally based people with a creative urge. The Avoca Painting School can also provide tuition and demonstration at your art group’s location. From absolute beginners to experienced painters – It is an ideal chance if you have dabbled and want to learn a few more techniques. Enjoy the process, and see your surroundings with new eyes. Rod Coyne explains techniques through painting demonstration. The painting holidays run from Sunday to Friday inclusive, 5 over-nights and 5 days painting with a daily pack-lunch. Sunday is a day to travel and check in and later to meet and greet Rod and the other painters at the Avoca Studio Gallery, next-door to the accommodation. We will be painting at various Wicklow locations from Monday to Friday, from 10am till 4pm daily. Find out all about upcoming Painting Holidays with Avoca Painting School here. 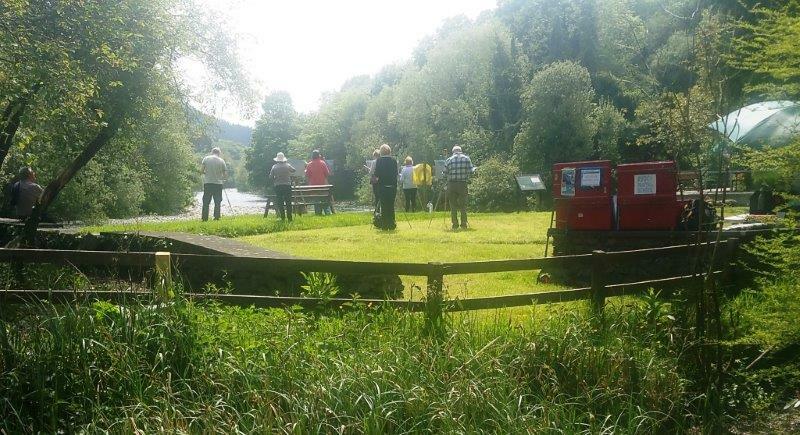 Find out all about upcoming Outdoor Painting Workshops here. It is an ideal chance for those who have dabbled and would like to learn a few more techniques. Rod will demonstrate and explain all techniques and suggestions relating to medium, composition, colour-mixing and brushwork are on hand in a friendly environment. Find out all about upcoming Avoca Painting School 6 – week studio courses here. Two minute painting demo with Rod Coyne.